We would like to inform you about a change in the terms and conditions of the replacement programme for corroded sensors that affected some M9, M9-P, M Monochrom and M-E camera models. For all camera models listed that were purchased over five years ago, we offer our customers the following programme: from 1.12.2018 onwards, the customer pays a contribution amounting to 1,550 euros (1,303 euros plus 19% VAT) for the replacement of the affected CCD sensor. In addition to this, the programme also includes a free general overhaul* of your Leica M camera and a one year warranty with the same terms as for new products. This offer expresses our commitment to conserving the value of your camera. Our upgrade programme will continue to be offered as an alternative option. Instead of a sensor replacement, we offer our customers the alternative option of sending us their camera affected by sensor corrosion in part payment for the purchase of selected Leica M-Camera models of the Typ 240 generation and the M10 at even more attractive terms. Leica Customer Care will be pleased to inform and advise interested customers about the terms and conditions of the upgraded offer. 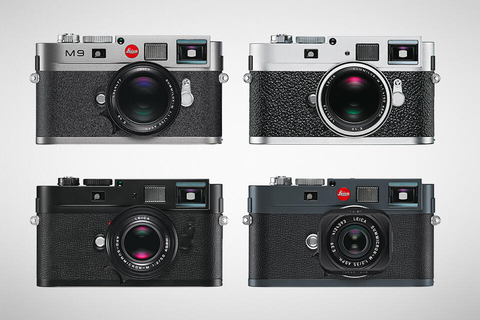 With regard to the above, we would like to remind you that the replacement of CCD sensors and the upgrade offers apply only to cameras affected by this concrete problem, and only to the models of the Leica M-System we have listed. Should you be uncertain about whether your camera is affected, Leica Customer Care will be pleased to help you on the phone [+49 (0)6441 2080 189] or by email. If you wish to visit us at Customer Care in person, please arrange an appointment with us in advance. How can I find out whether my Leica M is more than five years old? The date on which you purchased your camera as a new product applies. The sales receipt serves as proof of the date of purchase. If you no longer have your sales receipt, the age of the camera will be determined from its serial number. In this case, the date on which it was supplied to the dealer applies. Which point in time is used for determining whether my camera is within the period designated for the full goodwill arrangement? The date on which the defect was reported to Leica Camera AG applies. In each concrete case, a check of the camera by Leica Customer Care is required to prove that the problem is due to the corresponding sensor defect. This check can be made by sending the camera or a suitable test exposure to Leica Customer Care and subsequent checking of the camera by specialist personnel at Leica. What can I expect to pay if I decide to take advantage of the upgrade option instead of having my camera repaired? Leica Customer Care can provide concrete prices for your upgrade wishes on request.